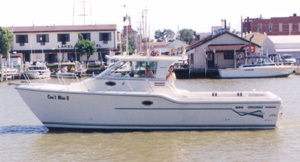 Member of the Sandusky Charter Boat Association and Port Clinton Chamber of Commerce. We run only one charter per day. Time of departure is 6:00 am and return around 3:00 pm (departure and return can be adjusted at your convenience). We pick up all charters at Brand's Dry Drock Marina, City Dock, or The Arlington Inn, whichever is decided when confirming your charter. Condos, motels, hotel, restaurants and lounges within walking distance. Information is available upon request. Size of party is 6 persons or less per boat. 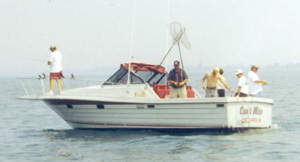 WALLEYE CHARTER - Price includes ice, tackle, bait, and equipment if needed. A $30 additional fee will be added for any Canadian trips. EXECUTIVE TRIPS add $100 includes the above plus beverages and sandwiches. A fuel surcharge may need to be assessed based on then current fuel prices. To have a reservation confirmed, a $200.00 deposit is required. Deposit will be refunded on advance notice of cancellation or bad weather conditions.